For those interested in paramedic salary in California, it’s important to understand that becoming a paramedic is first and foremost a wonderful and rewarding job. It is not, however, a career in which one attains a large amount of wealth. Understanding how much paramedics are paid in California can be a bit complex, as income numbers vary due to a variety of factors. California is a vast state, and therefore a paramedic in one region of the state can make more (or less) than a person doing the same job elsewhere. Paramedic salary also varies depending on the job. A firefighter paramedic and flight paramedic, for example, typically make more than an ambulance paramedic. 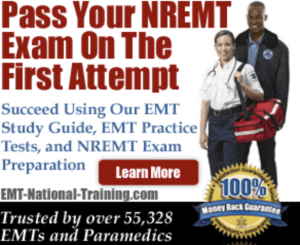 On the lower end of the EMT spectrum, a wilderness EMT who works in a remote location of a state will have a different yearly salary than a typical EMT employed by an ambulatory service. All of these jobs have different EMT and paramedic pay structures. Some licensed paramedics, who are interested in advancing further in the medical field, will enroll in a Paramedic to RN bridge program, where students work towards becoming a Registered Nurse. Before we get into any specific numbers when it comes to paramedic salary in CA, it’s best to cover a few important national statistics. Using Salary.com as our guide, let’s see how the salaries for EMTs, paramedics, and flight medics compare amongst the largest cities in California (by population). In Los Angeles, California, EMTs make $33,156 each year. Paramedics make an average of $42,036 per year. And flight medics make $44,975 annually. In San Diego, EMTs make $31,848 annually. Paramedics earn $40,377. And flight paramedics make $43,200. In San Jose, EMTs make $37,056 per year. Paramedics earn $46,980 each year. And a flight paramedic pulls in $50,265 annually. In San Francisco, an EMT makes $36,272 in salary. Paramedic salary equates to $45,985, while a flight paramedic salary makes $49,201. In Fresno, an EMT makes about $31,060 yearly. Paramedics make $39,377. And a flight paramedic makes $42,131 annually. And in Sacramento, EMT salary is $32,116. Paramedic pay is $40,716 annually. And a flight medic makes $43,563 every year. If you’re currently looking for a paramedic job in California, it’s recommended that you visit our job board. There, you can seek out hospitals and ambulatory services that are looking to hire, as well as get your resume out and in front of key decision-makers. If you’re working on becoming a paramedic in California, consider yourself lucky. As you can see from the aforementioned statistics, paramedic salary in CA (the cities of California with large populations, rather) is higher than the national average. And with a national population getting bigger each year, and another generation of Americans growing older, the need for working paramedics will continue to rise. Visit our homepage for more paramedic training information.